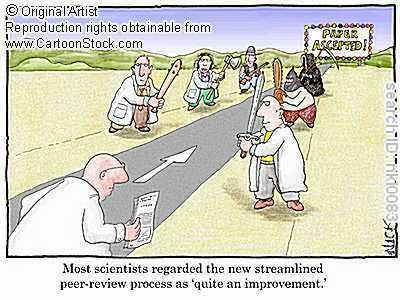 Peer Review – Mobilize This! With a total of 880 views and 17 comments, this blog story first posted on January 12, 2011 was the most read article on Mobilize This! in 2011. 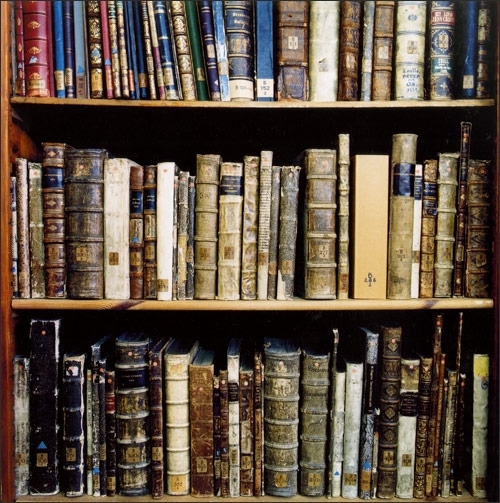 In an age of self publishing – including blogs, videos, and other Web-based media – why do we still seek to publish in traditional academic peer-reviewed journals? Vanity. ResearchImpact-York published two academic papers in 2009. In 2010 we had one in press, two submitted, and one just rejected for a second time, from the same journal. Since our first post on May 30, 2008, ResearchImpact has published 206 blogs on Mobilize This!, an average of 6 or 7 each month. TIME: I started drafting our paper on ResearchSnapshot clear language summaries in July 2009. I submitted with revisions in September. It just got rejected. I can write a blog in about one hour and get it posted in 20 minutes. ACCESS: We published our first paper on York’s KMb Unit in Evidence & Policy [Phipps, D.J. and Shapson, S. 2009. Knowledge mobilisation builds local research collaboration for social innovation. Evidence & Policy. 5(3): 211-227]. I have no idea who, apart from my mother, has read this paper. Mobilize This! has received 55,171 page views as of December 28, 2010 and has a subscriber list of over 1200. Blogs are accessible to anyone with an internet connection. Except for Open Access journals, most journals limit access to those who can afford a subscription. RESPONSIVENESS: Blogging also has the added feature of allowing readers to respond by leaving comments. Try the comment feature below to leave your thoughts and let everyone know what you’re thinking. Now, try to do the same with a peer-reviewed paper you’ve printed out. PAYBACK: I am not an academic. Unlike scholars seeing tenure and promotion based on their publications, my publications do not have an impact on how my performance is measured. If it takes less time to reach more people in a two-way fashion, why do I take the trouble to publish in peer-reviewed journals if it doesn’t benefit me in any way? Peer review provides a level of quality control; however, so does blogging. 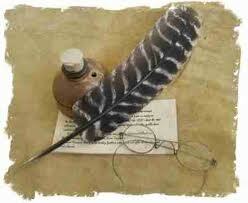 If you don’t find our writing valuable you won’t return to this blog or you’ll tell us so. And even though I believe peer-reviewed publishing and blogging are complementary, both take time. So why do we continue to take the time to pursue both forms of dissemination when blogging seems to meet our needs? In practical terms, publishing in peer-reviewed journals gives us credibility in the eyes of one of our key constituents: faculty. Faculty’s currency is peer review. We gain credibility when faculty peers approve our work and find it worthy of publication. But the real truth is, publishing in peer-reviewed journals provides a sense of personal satisfaction that boarders on vanity. I enjoy the sense of satisfaction when faculty peers (finally) approve our publications. At the end of the day my ego is stroked when our work is accepted for peer-reviewed publication as well as when I receive comments on Mobilize This! Together, these two forms allow you, the KMb stakeholder, to know that our work is not only immediate, accessible and engaging (thank you, blogging!) but it also has the peer reviewed seal of approval (even if the seal is delayed by 12-18 months). David Phipps (ResearchImpact, York) was pleased to be invited to guest blog for Science of Blogging, a science blog run by @TravisSaunders, PhD Candidate, Obesity Researcher and Certified Exercise Physiologist. His blog, below, was posted on May 4, 2011. Check out the blog rolls on Mobilize This! and Science of Blogging. Each is following the other but you’ll see a few other great science and knowledge mobilization blogs there as well. Dear Professor, To blog or not to blog? This is not a question that you should worry about…for now. You compete successfully in three peer review arenas: publishing, grant seeking and tenure & promotion (T&P). These three are interdependent with success in one begetting success in another. The three are built on the same assumption: that your peers are in the best position to critique and thus make awards of publications, of grants and of tenure. This isn’t going to change dramatically in the near future, so please don’t fret over all this blogging stuff. Your klout score is not about to sway your T&P committee. Canadian research funding is dominated by three federal granting councils (SSHRC, CIHR and NSERC) all of whom are rolling out new funding programs with non-academics on the peer review committees. As I mentioned in a previous blog some (admittedly only a few) peer reviewed journals are including non academics on their editorial boards. Campus-community collaborations are increasingly recognized by T&P committees (especially when the university based scholar and his/her community partner receives a $1M Community University Research Alliance) and there is even a national alliance to examine academic reward and incentive structures for community engaged scholarship. A narrow construction of peer and an entrenched culture of peer review constrain creativity and create barriers to more accessible research. That’s why we need the creativity of knowledge mobilization. Une conception étroite de ce que sont les pairs et une culture ancrée de revue par les pairs contraint la créativité et crée des barrières à l’accesibilité de la recherche. C’est pourquoi nous avons besoin de la créativité de la mobilisation des connaissances. This is the third blog I have written discussing alternatives to peer review. I’m not down on peer review. I’m up on alternatives like those I mentioned in Blogging vs. 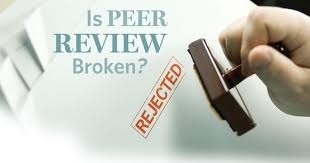 Peer Review published on January 12 and The Art of Going Beyond Peer Review published on March 3. Today I have returned to a manuscript that was rejected (although invited for resubmission with revisions) from a peer reviewed journal because it did not conform to a narrow construction of scholarly communication. This narrow construction constrains creativity in research communications and prevents scholarly authors from expanding the reach and impact of their research. That’s the role of knowledge mobilization, to creatively fill the communication and dissemination gap created by a history and culture of peer review. Funding agencies are exploring novel funding programs such as: NSERC I2I; CIHR Proof of Principle; CIHR Meetings, Planning and Dissemination; SSHRC Public Outreach and SSHRC Partnership grant (especially those with a connections theme). Many of these funding programs involve non-academic stakeholders on the review committees. Scholars funded by these novel funding mechanisms are falling behind by continuing to limit the definition of peers to academic scholars. If the broader knowledge community gets to participate in peer review at the front end (grant funding) we need to find vehicles to support these peers at the back end (publishing and dissemination). We need to redefine the concept of peers not to challenge our academic colleagues but to complement them. I publish in academic peer reviewed journals but I find it difficult to adapt my work to fit their narrow frameworks. I am not seen as a peer of the academic reviewers. But then they are not my peer either. In a world of theatre, poetry, story telling, dance and art, peer review is necessary but not sufficient to disseminate research to diverse audiences. Dans un monde de théâtre, de poésie, de récits, de danse et d’art, la revue par les pairs est une nécessité mais n’est pas suffisante pour disséminer la recherche à des publics très divers. I recently read a paper from the Research Unit for Research Utilization titled, “Helping social research make a difference“. The authors presented different methods of communicating research results to different audiences. Refreshingly it did not discuss the usual KMb tools we use to complement peer reviewed dissemination such as social media, research summaries and town halls. RI-RIR bases its KMb practice on co-production but the others listed above are all very cool and are rarely utilized. 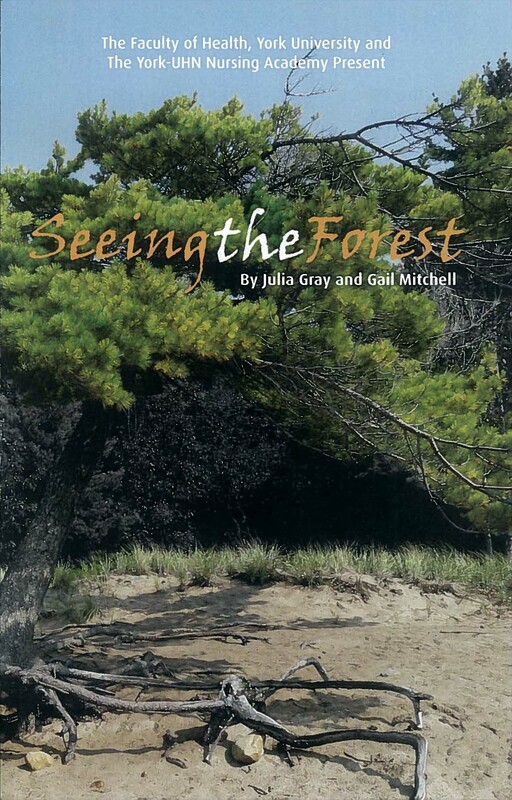 Once exception I have seen is the play “Seeing the Forest” written by Julia Gray and Gail Mitchell. The play is based on the research of Gail Mitchell and Deborah Tregunno of York U’s School of Nursing and Liane Ginsburg from the School of Health Policy and Management. The researchers were funded by the Canadian Patient Safety Institute to explore medial errors and patient safety throughout the process of providing health care. The play looks through the lens of the patient, the health care provider and the health care institution and illustrates those places and those practices that put patients’ safety at risk. Their work was written up by Hospital News and was recently presented to over 300 staff of Ontario Community Care Access Centres that connects patients and families with the care they need, at home and in their community. In addition the researchers are writing up their findings for publication in a peer reviewed journal, again illustrating that alternative forms of research dissemination complement traditional academic peer review.